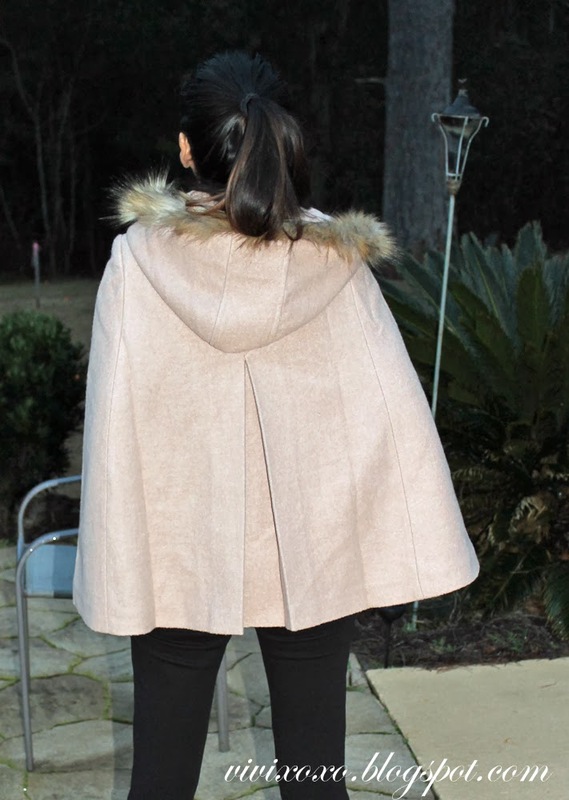 I found this cape online (www.sheinside.com) I think it's very unique! So i went ahead and purchased it. I was a bit worried because when i ordered it online it took almost a month before they shipped it. I couldn't track the shipment, so i researched their website and found reviews about how long it takes for orders to be shipped. This clothing store is based in China!!! But after a long wait it was delivered last week (DHL), i received a text message from DHL about delivery. Anyway, this cape coat is amazing! for only $75.00, i love the material and it keeps me warm. MUST HAVE! I put a link at the bottom of the photo.